My day three at CES found me at the Sony Ericcson booth where we looked at the new Xperia X1 slider among other things. The X1 is Sony's first Windows Mobile phone and it uses an interesting custom interface to navigate menus. The overall feel and finish of this phone is pretty slick and the beauty of it is that it has different panels (think home screen) options for the task at hand. 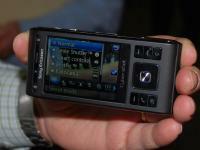 There are panels for the camera, multimedia, phone functions and more. The X1 also features WiFi and multiple navigation options such as touch screen, qwerty keyboard navigation and an optical joystick. It will be available to Canadians on the Rogers network originally and move into the Telus and Bell networks as they get 3G service. It's interesting that Sony has integrated other feature sets from other electronics into their mobile phone market as well. Sony is well known for it's CyberShot cameras in the past and now incorporates the same technology into their mobile phones. Things like SmileShutter and SmartContrast are just a few of the features available in the CyberShot Phones. If media is more your thing, the Walkman edition will suite your needs better. 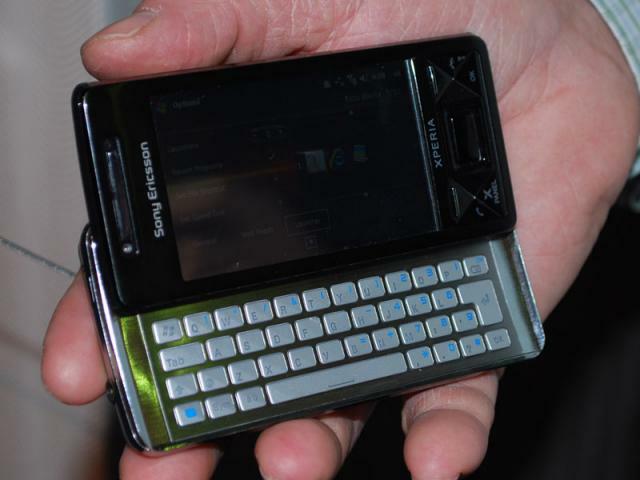 Sony is the original behind the walkman and the new mobile phone/walkman is a pretty slick unit. It's no iPhone, but it actually has a great featured phone, and not just a pretty face. Over at BlueAnt Wireless, things were a bit one-track-minded. During the past year they launched a few new products that had been announced at last CES, and this year they only had one new product in the spotlight. We've taken a look at a few of their products in the past and are excited to see what the Q1 can bring to the table. 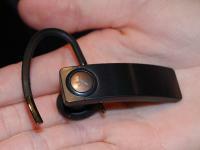 This is a new Bluetooth headset that has a "Jawbone'ish" look but a feature set that other headsets dream about. 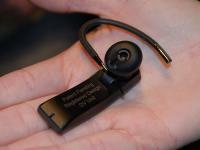 The Q1 has better noise reduction than previous BlueAnt headsets in addition to it's Wind Suppression feature. 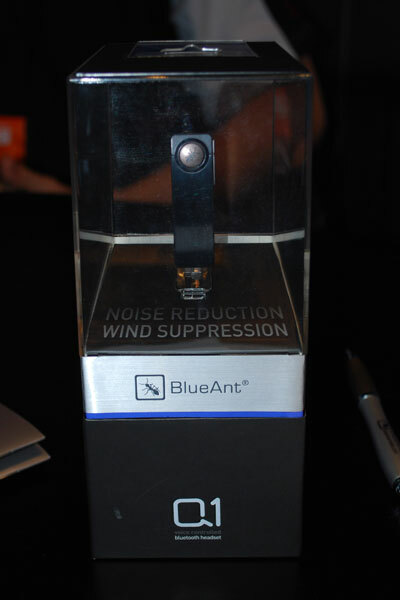 It is unfortunate that BlueAnt didn't have working samples available yet, but they had originally intended to have a wind machine at their booth to show off how well this works. It won't be launching until sometime mid-'09, but it looks like it holds a lot of promise. I know many people don't get too excited about a headset, but one like this should be able to connect to 2+ phones and 3+ other devices and this is handy for many people on the road. In addition to the beefed up performance it is voice controlled like their V1 and if you simply say "Teach Me", it will run through a tutorial on how to use the device. Like just about everyone else at CES, we are calling it quits on Sunday and just plan to kick back around the house and see some sights. It was a good run and we'll be busy looking at more of these products in detail over the coming year.